Simulated Diamond & White Gold Frog Stud Earrings Only $14.99! You are here: Home / Great Deals / Simulated Diamond & White Gold Frog Stud Earrings Only $14.99! Hop into Spring fun with these Frog Stud Earrings! 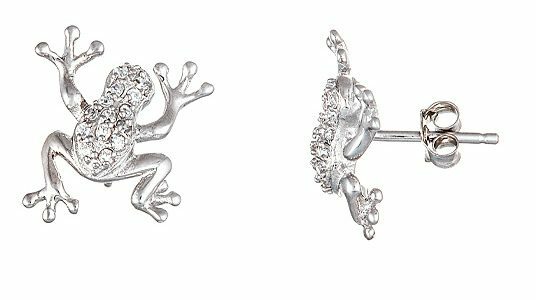 These Simulated Diamond & White Gold Frog Stud Earrings are Only $14.99! Whimsical frog-shaped studs add a playful element to your ensemble, while white gold and shimmering cubic zirconia stones bring sparkle!